No situation is too difficult for us! 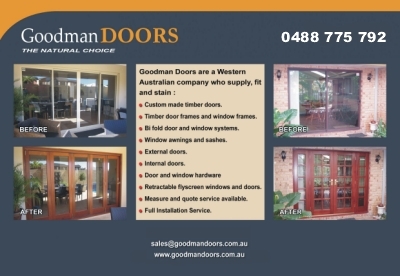 Goodman Doors' acclaimed installation team consists of craftsmen with 35 years of experience. Our door installation service has more to offer than you would expect - from taking the measurements through fully installing the door with all the hardware - we orchestrate it with precision and master craftsmanship. 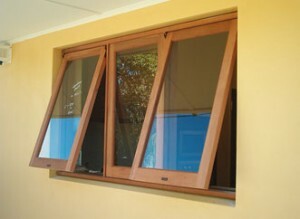 We can give you a quote on your doors and windows (with installation) over the phone! A description of what you require. 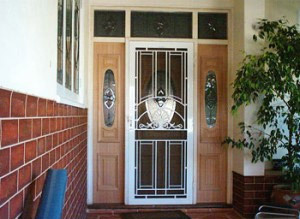 All our doors are high-end manufactured so we can offer our clients the very best doors in Perth. We have earned a sterling reputation with our unsurpassed service in Western Australia. 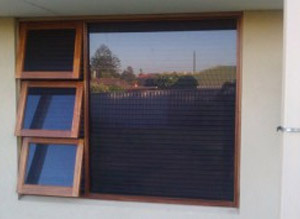 If the job is technical or complicated, we are happy to visit you and provide a free measure and quote. Our sales representatives are fully qualified experts in our field and can measure, advise, and quote for your job. They will take care of your needs and ensure your satisfaction, from consultation right up to job completion and maintenance. Our qualified carpenters have police clearance, an abundant knowledge in carpentry and many years of experience.